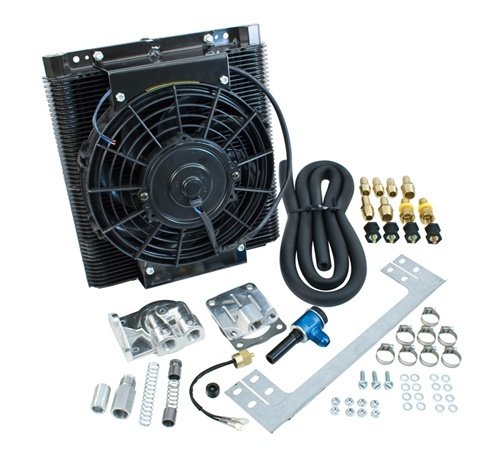 A truly complete full flow oil cooler with fan and remote oil filter adapter kit that is entirely bolt-on! 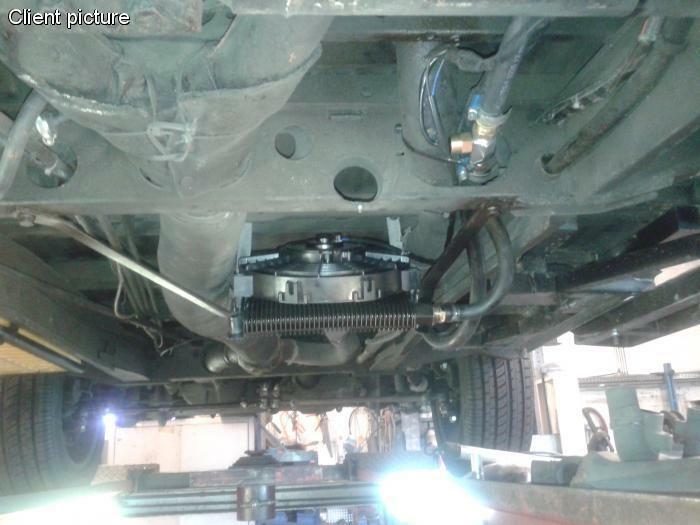 Now you can easily add a full flow oil filter and cooler system to your engine without the need for engine removal or timely case machining. 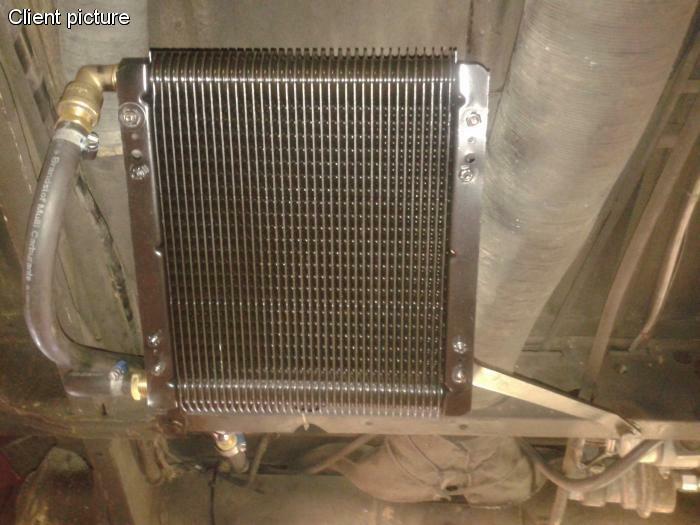 Supplied with all necessary fittings, oil line, mesa style oil cooler with fan, in-line oil thermostat, billet oil pump cover with plug, remote oil filter adapter and hose clamps. The ultimate package for improving the life of your engine!